6 white, 6 lavender, and 6 pink. 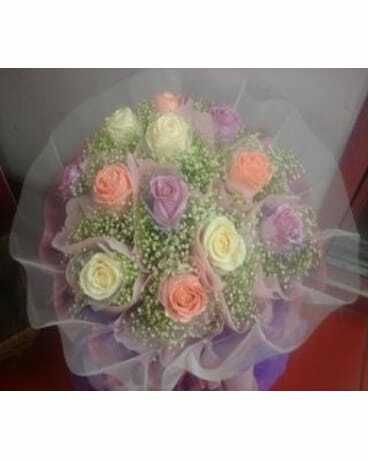 glitter roses Hong Kong style, you can request different colored roses. Comes with baby's breath and lavender wrapping (can also be requested in different color.) Can be given on birthdays, graduation, annversaries or any other occasion.